London: Macmillan. Very Good in Very Good dust jacket; Pages toned.. 1986. First Edition. Hardcover. 0333407199 . 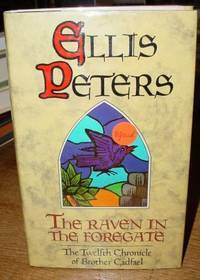 Signed by the late Edith Pargeter, using her pseudonym, Ellis Peters, on the title page. The twelfth novel in the bestselling Brother Cadfael historical mystery series, in which our hero, a 12th century English monk and herbalist, investigates the Christmas Day drowning of a detested priest in the abbey mill pool. ; 8vo 8" - 9" tall; 201 pages; Signed by Author .